SYNOPSIS: "I've already been to high school, that's like the biggest freak show of all." Monique dreads school. The constant torment makes her feel like a sideshow freak. Every day, Monique wanders the scariest place on earth, the school hallway, and wishes she could just disappear - and then she does. Monique finds herself out of high school and in an "unusual, disturbing, and fantabulastic" sideshow. Monique the freak, the freakiest freak of all, wonders how she got there, why she is there, and what other outcasts lurk inside. This fantasy social drama explores bullying and its extreme consequences. Though sometimes dark, Freak emphasizes hope, and it is hope that finally leads her home. Awards: Second Place 2008 North Dakota Region 2 One Act Play Competition: Superior Actor Award, Honorable Mention Actor Award, and Best Ensemble Award. 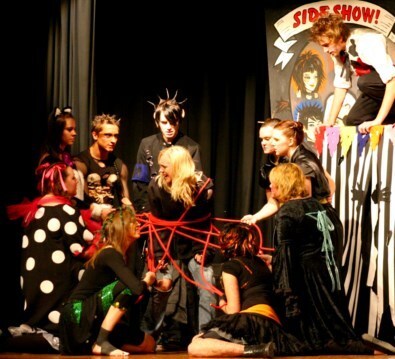 "By far the best play we have ever performed! We had so much fun talking through this issues, creating the characters, designing the set. The audience loved it, and we were successful at our state festival! Thanks so much! People still ask me about it, and we performed it last January." "It is with greatest pleasure to write you and tell you of the positive response we received after performing Freak by Angela Hill. My acting class took on persona's they had never imagined and grew as people. We performed in February to over 350 people at our school and then performed to nearly that many at our West Virginia State Thespian Festival in April. 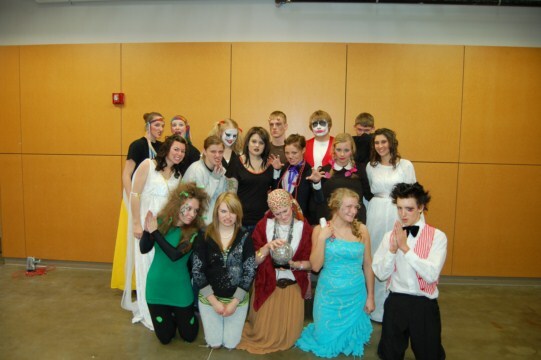 In addition, they won numerous awards at the regional and state festival in both acting and tech for the show. At the state competition, this was named one of five outstanding plays. Thank you again for such an inspiring and challenging play." 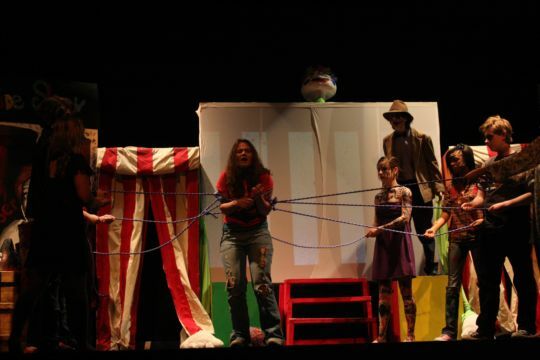 "This play was hugely successful at the North Dakota One Act Play State Competition and with Kendrid High School's student body. 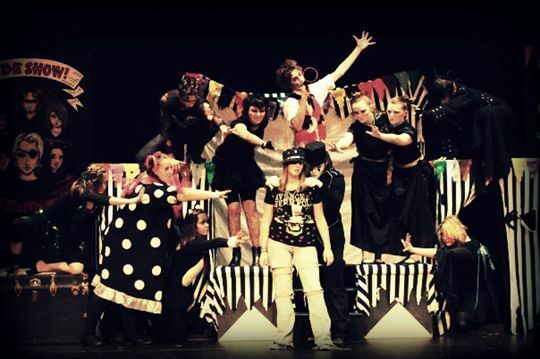 Three sold out performances plus an encore performance at North Dakota State University along with an Outreach performance at Griggs County Central School in Coopertown, ND. 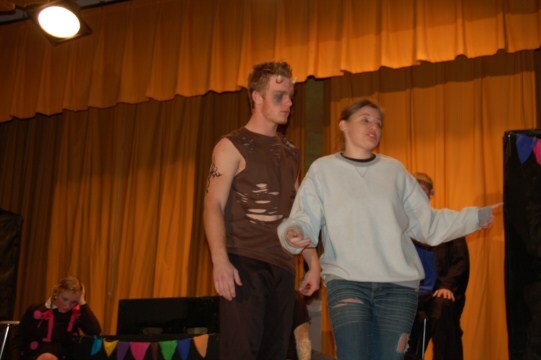 This social awareness play was also performed as a finale to Rachel's Project and we received numerous requests to tour to area high schools for additional outreach performances." Be creative with costuming. I suggest you coordinate the set with your costumes. Use the color "red" symbolically, representing death. Max and the Clowns can be black, white and red. Let each character have their own color added to black or black and white, then add those colors to the set. Have students costume themselves.